Whose invention is it anyway? "...very well-written and informative but how does Intellectual Property stuff fits in an Inspirational Magazine?" my friend looked bewildered as she presented her query. "What do you think?" I asked as she did not buy that I bribe the chief-editor to include them. :D "People generally aren't aware of such things and after knowing, they may get inspired to think more on these lines?" her eyes widened as they exhibited interrogative expressions. "Exactly" I confirmed, "Inspiration through Information is the objective of this eMag and through these articles, I intend to inspire more people to be inventors..."
In case that was a question in your head too; well, now you know the answer. By the way, "Dialogue That Speaks", an article by Jody Label in the Aug edition is what inspired me to explore a different writing style and share this dialogue here. Now, let's get back to our topic, Why would an inventor cede the ownership of the invention to someone or an organization? After all, it was his inventions and creative imagination which made Thomas Alva Edison one of the richest inventors ever. The records say that he was worth over 20 billion dollars. Probably, inventors aren't that smart these days in financial terms. Probably! 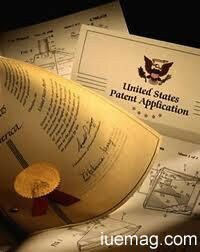 Patenting is highly expensive: I learnt from a Patent attorney at Citrix that now-a-days at USPTO, process for one patent incurs a cost of about $50,000. I sure don't know of many people who would be able to shell out that much amount, do you? Patenting is a long process: It takes couple of months just to prepare the application in required format and years, 6 to 8 at an average for a patent to be granted. So, if it is granted and starts fetching you royalty, it will still be a long time before your investment starts paying off. Not all patents end up paying off royalty. It may happen that you spend on getting something patented that turns out to be too ahead of time or probably no one finds it 'cool'. For example, Head-gear in the form of a beer barrel (US5966743). In case there is a case of someone using your patent without your permission, you will first need to find out about it and then go to court and fight for it. Individually, one may not have as many resources to check the unpermitted usage and take corresponding action. If you are working in a company and carefully read the documents you signed at the time of joining, you'll know that your inventions during your tenure shall be deemed as the Intellectual Property of the company. You keep the invention to yourself until you are able to take it forward individually. By the way, someone else may also get the same idea and get it patented while you wait. You take name and immediate rewards, give ownership to the company who shall verify if the idea is worth spending the mentioned sum, get attorneys to take it forward, submit and follow up with the patent office. The idea shall be patented in your name but becomes the property of the company. They shall deal with patent infringement and all but also rake the benefits. I hope you are finding this series impacting you positively. Let us know your feedback/comments below.